If you can tell us how many pairs of shoes make up this stall, we’ll be impressed. 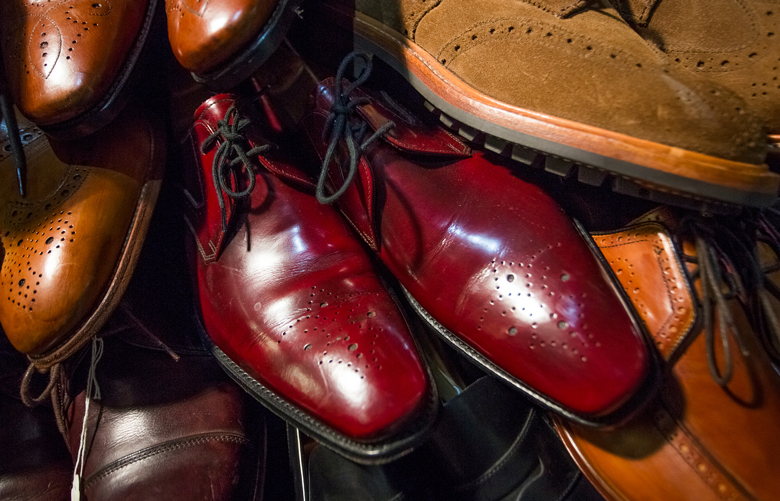 Covered from floor to ceiling in the men’s designer leather shoes in all shapes, styles, sizes and colours, the shoes are all brand new, having either been salvaged from showrooms or shoots or repaired by the owner, you’d be hard pushed to visit and not leave with a pair. Vintage Shoes offers a 15% discount when a Camden Card is presented.